Embrace a wonderfully restful holiday setting in Lesa, from this timeless historical villa for couples and flexible groups of 6! This timeless 2-storey villa is fully WiFi-enabled and has been thoughtfully modernized to retain and enhance its unique charm and character. A spacious living room with garden access features a romantic beamed ceiling and is equipped with a comfortable sitting area, TV, piano and easy access to an adjoining separate kitchen diner, perfect for laid-back meal moments. The two, flexible family-friendly bedrooms are ideal for groups or 2 couples and are complemented by a master en-suite and an elegant family bathroom. The villa is ideal for holiday relaxation and boasts a beautiful paved private garden with alfresco dining area, a wisteria-covered balcony to the 1st floor and a light and spacious reading area upstairs. 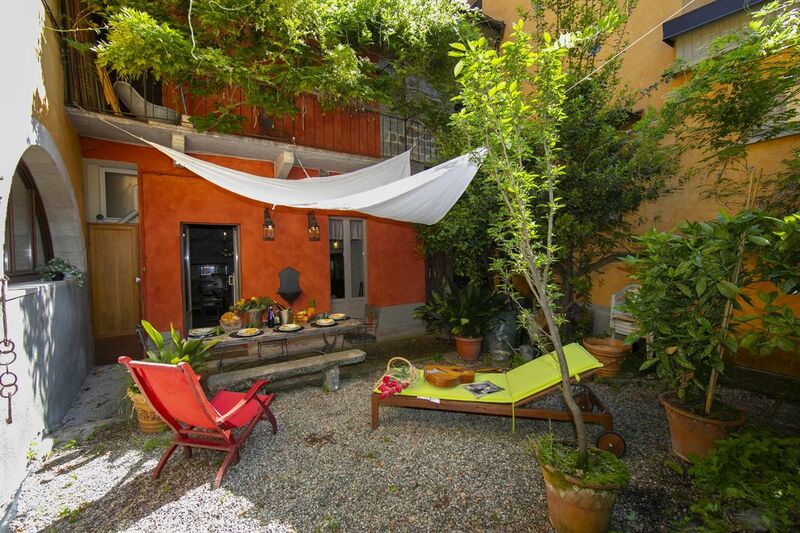 The modernized detached period villa is situated 200 meters away from a public parking area. The detached villa is situated in Lesa along the quiet secondary road, ‘Vicolo Rabayoli Apostoli’, 1 minutes’ walk from an authentic restaurant, 11 minutes’ walk from the centre of Lesa and 5 minutes’ drive from Erno Beach. ‘Park Villa Pallavicino’, the ‘Golf Des Iles Borromees’ and Stresa are 10-17 minutes’ drive away.